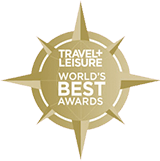 STOWE, Vermont, April 10, 2015—Croatia: Dalmatian Coast Kayaking & Hiking, a diverse adventure vacation developed by tour operator Boundless Journeys, has been named to National Geographic Traveler magazine’s 2015 “Tours of a Lifetime” list. The magazine’s annual list finds Boundless Journeys’ Croatia in the company of some of the most authentic, high-quality, and sustainably run travel experiences in the world. On this journey, adventurous travelers will embark on easy to moderate hikes and kayak through the enchanting Dalmatian Islands, visit with local farmers, artisans, and winemakers, and indulge in culinary delights. Evenings are spent relaxing in deluxe, seaside accommodations. Croatia is the sixth Boundless Journeys adventure to be named a "Tour of a Lifetime" by National Geographic Traveler magazine. Other adventures that have made the list include small-group, locally guided trips to Bhutan, France, Ireland, Italy, Switzerland, Spain, and Palau. With a diverse collection of high quality, small group, locally guided itineraries around the world, Boundless Journeys offers “The World’s Great Adventures.” The trips for up to 16 guests are active, ranging from leisurely cultural explorations and wildlife safaris to challenging trekking in remote regions ― with plenty of easy to moderate walking and sea kayaking in between. For more information, please call 1-800-941-8010 or visit /.